Roohome.com – Are you kind of artistic person? 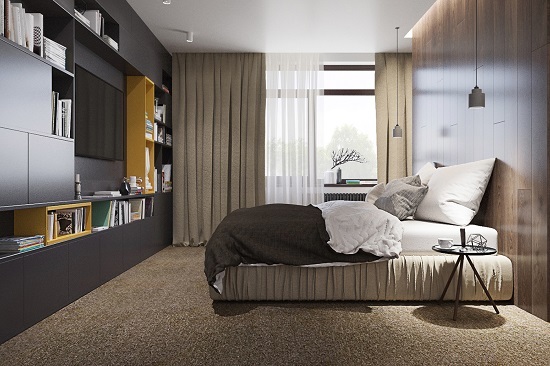 This minimalist apartment design is suitable for you who has a sense of art. 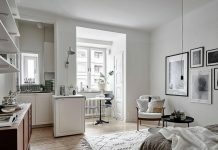 Yet, you will not find any unique portraits because one thing you must know is how minimalist decorating could produce elegant atmosphere inside of it. That is called as art. 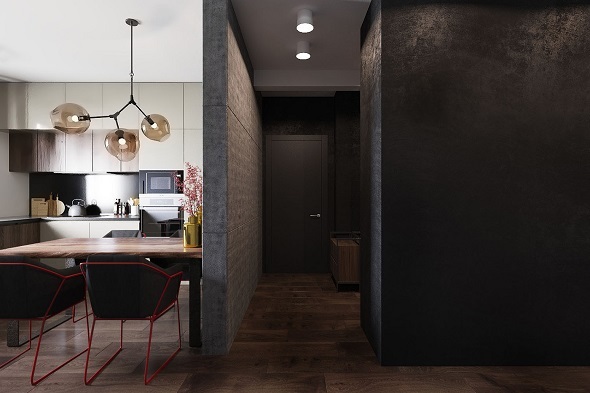 By combining dark and black accents, your dream apartment is worthy to happen. The living room must be the first choice to spend special time with family after spending a lots activity out there. Minimalist design is one of brilliants concept to change your ordinary living room appearance becomes extraordinary appearance. 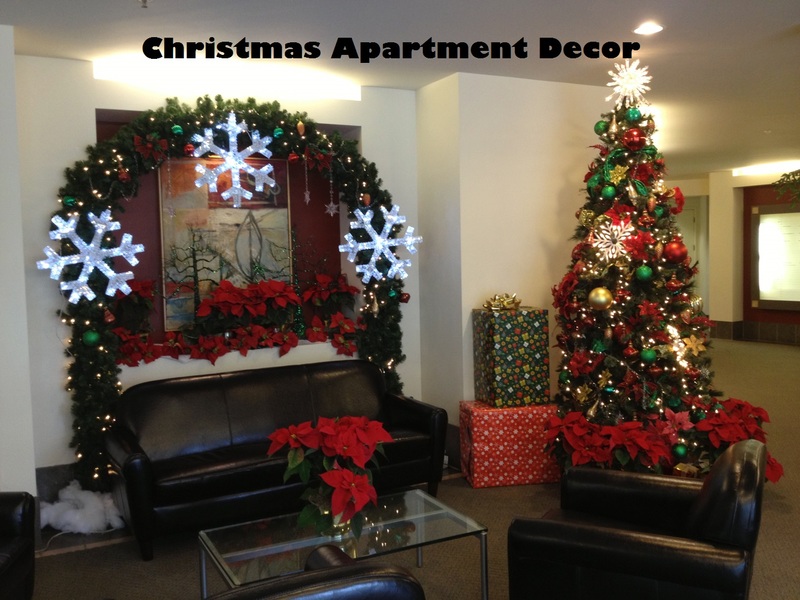 Put your trust in hands of experts, Anna Kolezneva to make your dream apartment to be true. 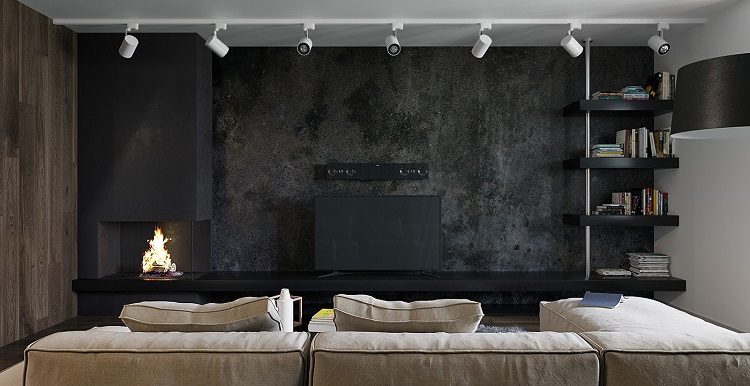 Like the minimalist living room below, she focuses her mind on dark accent on the wall behind. For other walls, she paints with light gray. 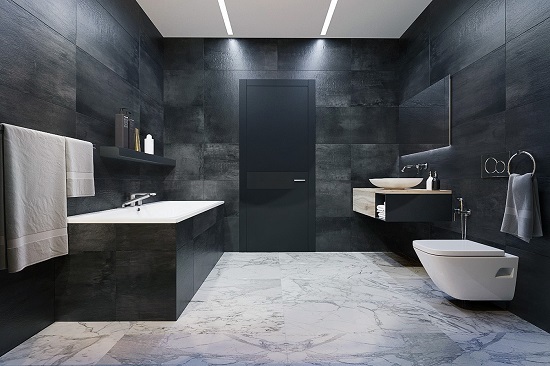 Do not forget, a wooden material is also used as wall and floor. 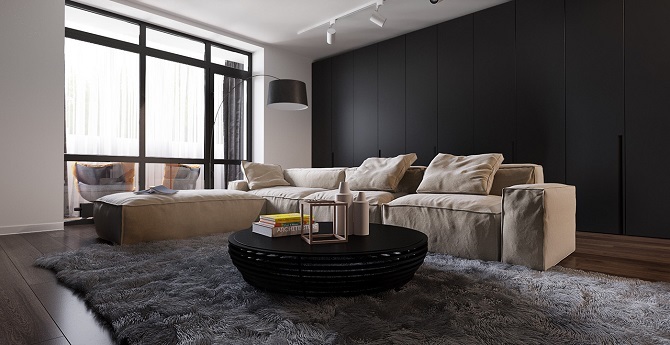 For furniture, the designer is highly consistent to keep using dark accents such as black bookcases, a black floor lamp, and TV shelf. Interestingly, the designer does not use a unique chandelier in the middle of this room, but she places 7 parallel spotlights on the roof. Move to the master bedroom. The first thing you will see if you get into this room is brownish accent can be spotted. 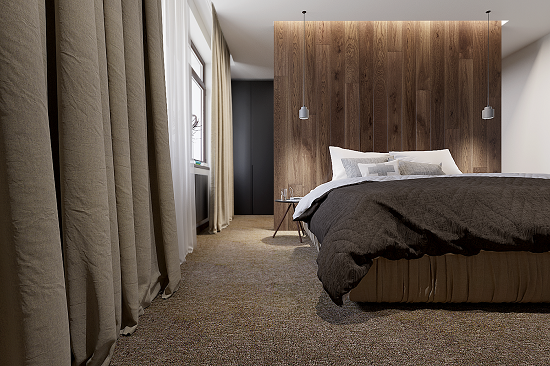 It begins with wooden pattern behind the bedstead which is suited with the light brown curtain. The size of bedstead itself it is not really large so makes Anna Kolezneva can place black bookcase inside of this room. Besides that, a brown rug has decorated the floor to make the room keep warm and your energy can be fulfilled. 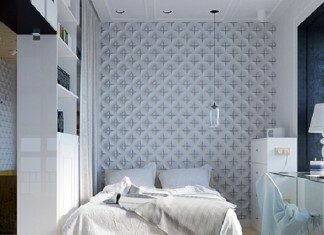 This minimalist apartment design is inspiring you to create your cozy master bedroom as well, right? What are you waiting for? Just make it now. Of course, wooden can be spotted because it is the main in this room. 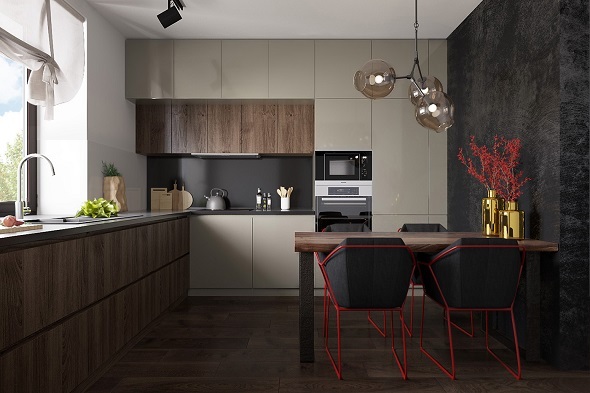 Wooden itself is chosen as furniture such as kitchen cabinets, kitchen sink, and dining table. 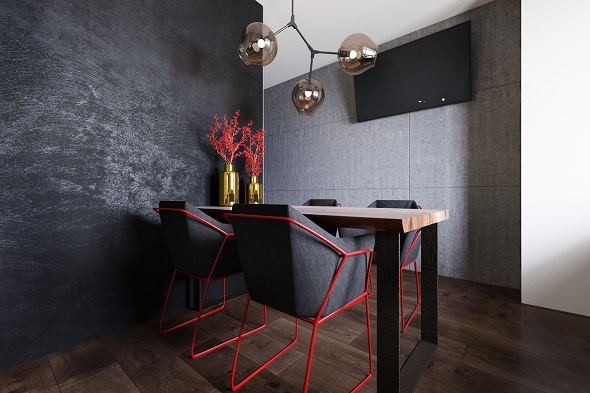 Fortunately, the size of this room is not really small that is why four red lines dining chair are placed in this space. 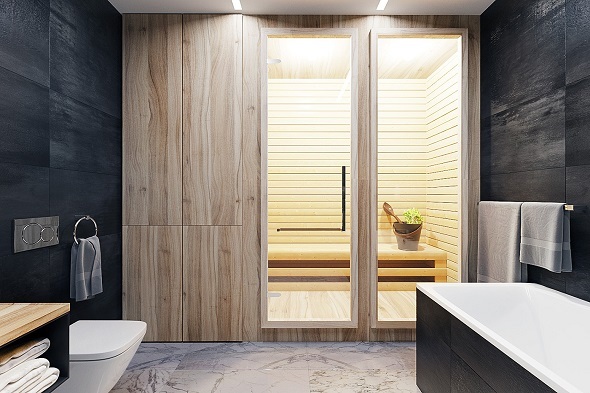 You will be fascinated in this minimalist bathroom because inside the room there is a sauna-like Japanese style. 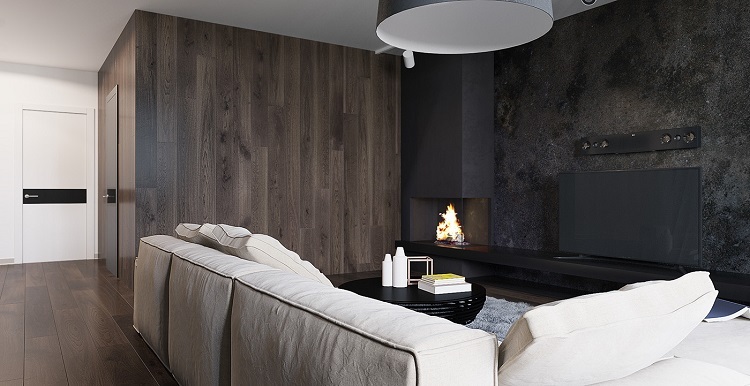 For a whole room, Anna Kolezneva keeps using dark accent and wooden for the sauna. 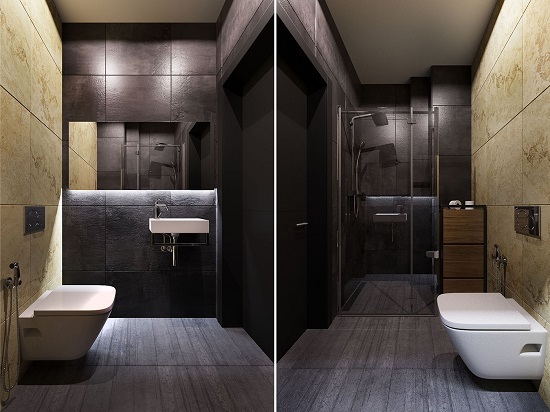 The room facilitates you to dress up as well after bathing. 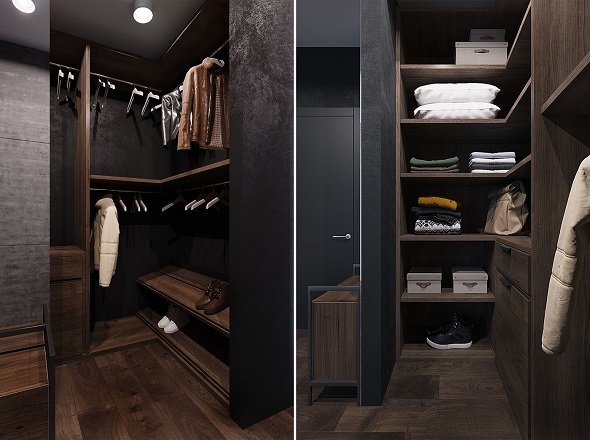 Take a look how the designer creates a creative wardrobe. Next article5 Enticing Nursery Design, Find Out Your Baby Nursery Ideas! How to Organize Your Room in Easy Steps?